We found 116 jobs near you! 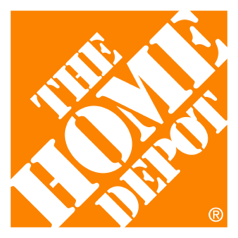 The Home Depot is a large American big box retailer, supplying construction and home improvement products. The company, whose headquarters are in Atlanta, Georgia has over 2,100 retail stores in the US, Puerto Rico, The US Virgin Islands and Guam. Each Home Depot store is a large warehouse with hundreds of different home products and product displays. In addition to selling home and garden products to retail customers, The Home Depot offers moving services, installation services, repairs and tool and truck rental, making them a one stop shop for all home and garden needs. The Home Depot a variety of careers, both retail and corporate, with retail careers including trade services such as furniture construction and appliance installation. The Home Depot has received numerous awards and accolades for business practice and environmental policy. In 2013, The Home Depot’s chairman Frank Blake won the Retail Industry Awards Gold medal for his work with the retail chain. In 2009 they received an Environmental Excellence Award from the U.S. Environmental Protection Agency SmartWaySM Transport Partnership for their efforts in conserving energy and lowering transport and freight emissions. In the 2012 Maplecroft Universe Report they were ranked in the Top 100 Leading Global Sustainable Companies. The Home Depot believes in employees working together to find products and services that fit their customers’ needs, creating a community that extends beyond each store’s boundaries. They are heavily involved in local communities, and in 2002 they founded the Home Depot Foundation, which has since invested over $380 million in communities nationwide. This foundation’s mission is to provide all US veterans with a safe place to live, and so far it has committed over $80 million to address the needs of homeless veterans. They also partner with nonprofit organizations to provide disaster relief and aid. The Home Depot promises plenty of career advancement opportunities, with leadership programs, training courses, tuition reimbursement, promotion opportunities and mentoring. This allows employees to progress through their career and experience different areas of the business. The company likes to promote from within in both corporate and retail roles, offering those who start in entry level positions the chance to work their way up the Home Depot career ladder. They offer a range of commercial internships, with many interns going on to develop their career with The Home Depot. Employees are entitled to a comprehensive benefits package, which is available to part time and hourly staff as well as full time employees. Health benefits include medical, dental and vision coverage as well as life, death, injury and disability insurance. Financial benefits include 401K plans, employee stock purchase options, spending accounts and incentives. They also offer work/life benefits, such as tuition reimbursement, relocation assistance, tobacco cessation programs, adoption assistance and a variety of care options. Sales associates - assist customers in finding the products and services that will meet their needs, offering helpful advice and excellent customer service. Pay typically starts at $11 per hour. Cashiers - work at the point of sale, assisting customers with their transactions and ensuring that they have a great shopping experience. Hourly rates average around $10. Specialty department supervisors - Oversee specialty departments. They know everything about the lines their department stocks, and oversee sales staff and other employees. They earn around $17 per hour. District Managers - direct sales and operations in several Home Depot stores, overseeing staff and management, audits, hiring practices and the implementation of new innovations and store events. Regional Human Resources Managers - oversee recruitment and HR, ensuring that each business area is well staffed. Database Administrators - make sure that The Home Depot's web and database infrastructure runs effectively, assisting with the implementation of new projects and programs. They earn around $100K annually.